JULY WISHLIST. It's still the first week of July, so it won't hurt to publish my wishlist for this month. A. Do you know about Black Milk Clothing? If you are a fashion blogger or lookbookers, I know that you know them. Almost every famous bloggers are wearing their pieces of clothing. especially the awesome leggings. The fabric is very nice and fit to their legs perfectly. I want them so much, but the price is way out of reach for me (especially because it's only legging), but well . . . I'll try save up some money and buy it later. B. A new partner of mine - DinoDirect, they asked me to choose a piece of clothing from them and I chose this sweet dress, even my boyfriend loves this dress. It's very cheap, only $14.99! Why don't you head out here : DinoDirect , and check it out yourself? C. My all-time fave store, LOVE! I already bought the red one and I hope I could buy the sweet mint color soon! D. I'm so into loose shirts lately. These shirts by Chicwish are perfect for any casual occasions, either for hanging out with friends or just having a date with my boyfriend. I really love the designs and the colors of these two shirts. Wild to show my wild side (haha!) and rabbit is actually my 'shio'. Do you know what 'shio' is? E. This dress is very simple, but I love it since the first time Romwe uploaded the new collections. The gold lapel certainly brings out the elegant side of the dress. A bit vintage and perfect for every occasions. F. US Flag design - another pieces by Chicwish! I don't know why but I really adore them (it doesn't mean that I don't love my own country >.<). I have a few pieces if the top, so my first wishlist for this pattern is the shorts! By the way, Happy Fourth of July, America! The giveaway of Romwe dress is officially closed now. I'll announce the winner as soon as possible. Thank you for everyone who's participating. that red top is adorably sweet! 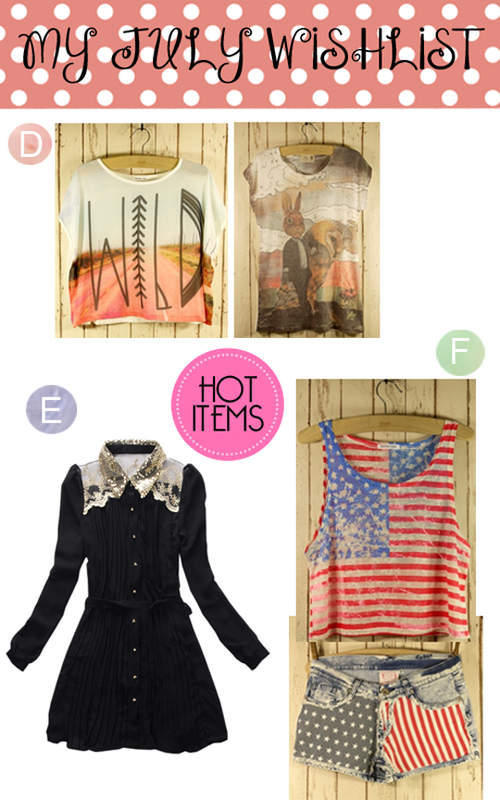 I love those stars-and-stripes items!! 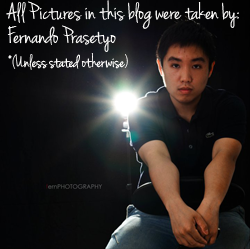 And your blog is just amazing, I really adore your style <3 Thanks a lot for your nice comment. What about following each other? Lovely blog, wanna follow each ohter? Of course dear ^^ and thanks! Love the t shirt with the rabbit and the owl! Thanks very much for your comment. Your blog is fantastic! Following you now! I have a new outfit post up if you get a chance to take a look, would love to know what you think! That is so funny that you mentioned Black Milk clothing because I was talking to a bartender this weekend who was wearing black milk clothes and she recommended that I check it out. Awesome! This is such a cute post :)) Loving the clothes. I'm following u now. Follow back? You said you're following our blog, is it on GFC? I don't see your name there. GFC # 184 as Wrey Swift. Please drop by our blog again & we're waiting for you to do the same.